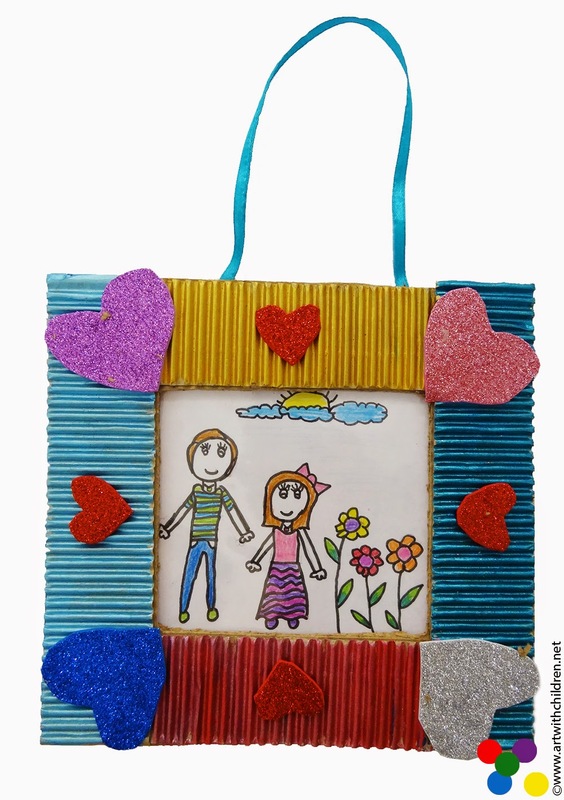 Here is a decorative picture frame made of cardboard. 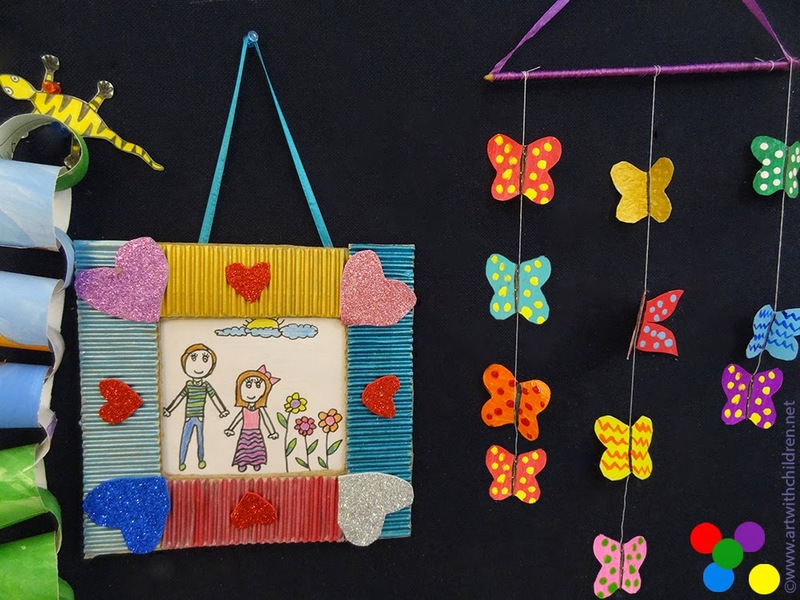 We need a square or rectangular piece of cardboard, four 1.5 inch strips of corrugated cardboard, a clear cellophane sheet, embellishments, ribbon to hang the picture, scotch tape to stick the cellophane to the cardboard after placing the picture in between and pvc glue to stick the embellishments. 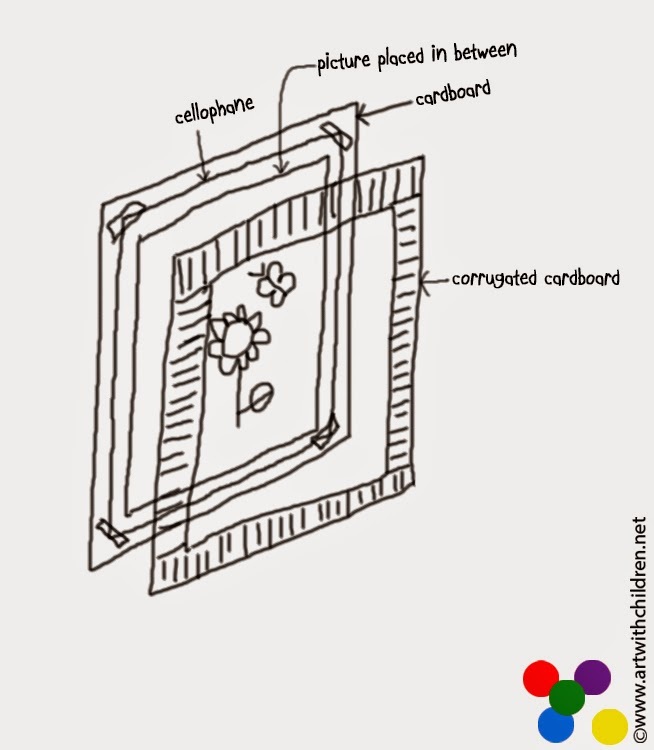 The steps are simple -Place the artwork on the cardboard, cutout the required size of cellophane sheet and place it upon the artwork. Secure the four ends with scotch tape. Paint and stick the corrugated strips using PVA glue / Fevicol in India. Decorate the corrugated frame. Stick the ribbon behind the cardboard. We reused corrugated cardboard and the cardboard that comes with packaging, for this activity. They can be purchased too. We love the colourful and metallic acrylic paints and used them to paint the corrugated strips. Added some bling with glitter foam cutouts. Children also used their photographs instead of an artwork.